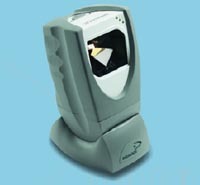 Omni-Directional barcode scanners use laser technology that shoots a pattern of laser lines across an area. 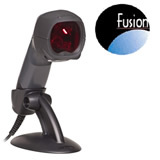 Presenting barcodes to an omni-directional barcode scanner does not therefore require alignment with the reading head as with single laser line gun types, and is ideal for rapid random presentation of the barcode on a retail counter. 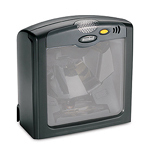 The scanner may be semi-portable, or may be set into a counter surface or on a pole type stand. 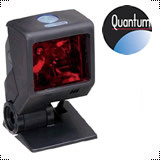 JJA supply the worlds leading omni-directional scanners by Metrologic, Datalogic, PSC, Intermec and Symbol. 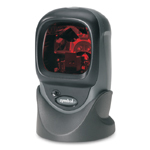 OUR MOST POPULAR OMNI-DIRECTIONAL LASER BARCODE SCANNERS. Click on a link or picture for PRICES and more information.